Sub Zero is an awesome figure that, as Mike said, not enough people appreciate. He looks natural in this shot. The combination of the poise, the depth, and the awesome environment make it all seamless. Sweet shot Scarr! 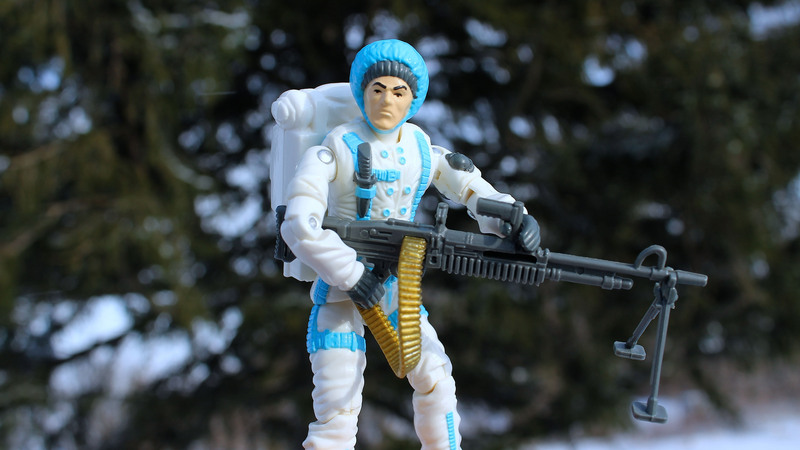 His M60 was probably Hasbro's best attempt at that gun. Great shot! Sub-Zero is a pretty gnarly figure, though that bicep grenade has always kind of bugged me. It's a shame nobody casts G.I. Joe accessories, as that ammo belt would be a great candidate. Nice work getting the ammo belt to fit and stay in place. And, he looks crispy white. I think he's a really underrated figure, especially with all that gear. I like the SE that uses his body, too.